Just a failed experiment of mine. No, realy! I tried to follow a PS tutorial, but it became just messy, so I modified it. Tada! Beautiful! I've always been fascinated by parasites...FAVES!!! 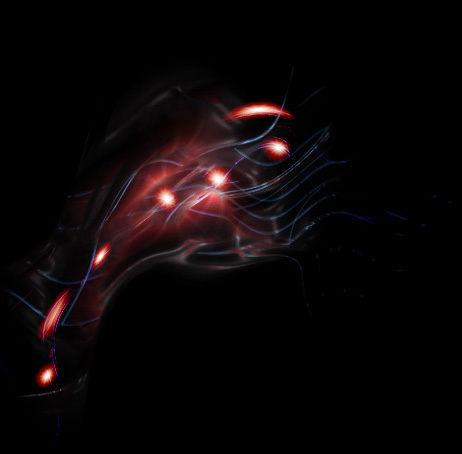 I can't really make out the outline of the creature but the glowing red spots and soft blue tenticles really draw the eye. Looks pretty bad @$$ to me. Makes me think of a metriod.... if they only could make them look that good. Man that'd be a cream dream. This is a definate fav. This pic has a lot of imagination behind it.